Five years before Vanity Fair unveiled Caitlyn Jenner on their front cover, Joy Ladin’s story made headlines and front pages in Jewish media. The first openly transgender professor at an Orthodox institution (Stern College for Women at Yeshiva University), Ladin, 54, is a well-known trans advocate who has left her mark on the Jewish community, lobbying for the inclusion of transgender Jews in synagogues and other facets of Jewish communal life. After receiving tenure in 2007, Ladin left for the summer as a man and returned as a woman. Her 2009 poetry collection, Transmigration, was the first time the English professor published under her new name, Joy. The book’s publication—and Ladin’s story—gleaned attention from the Jewish media, and Ladin found herself writing in Moment and appearing on the cover of Lilith’s 2009-2010 winter edition discussing her gender transition. Now, the onslaught of attention surrounding Caitlyn Jenner’s debut means that the experience of transgender people is back in the media’s spotlight. After her last interview as Bruce with ABC’s Diane Sawyer in April, the world anxiously awaited Jenner’s transformation. When she reappeared this month on the July cover of Vanity Fair, the media wasted no time focusing on her physical appearance and gathering intimate details about her genitalia. Clad in a pearl-colored bustier, Caitlyn went on newsstand display for the world to see. Photographed by Annie Leibovitz and with a headline declaring, “Call Me Caitlyn,” Jenner made mainstream media history. Ladin believes Jenner’s two-hour special with Diane Sawyer did more to break down assumptions about the trans community and what it means to be transgender than her cover did. In this cultural moment of Jenner’s public transformation, the mainstream media has one way to understand her gender identity as a transgender woman. “The formulation of trans identity that everybody knows is, I’m an ‘X’ trapped in a ‘Y’s’ body,” says Ladin. This is what non-mainstream activist groups such as trans, feminist and queer theorists are trying to tackle. Their strides in challenging a hetero-normative binary connected to one’s gender have impacted the visibility of minority communities and attracted media attention. These discourses are what Ladin says have changed since she first stepped into the public eye as an openly transgender Jew five years ago. Even though she says the cover didn’t represent her true self or the way she perceives herself, it did reflect a possibility of a self she hadn’t yet imagined. She also describes this experience to be a defining moment in her transformation as Joy. “I had no idea what the picture would look like, and I had no idea how many people would end up seeing it, but when I walked out of there I was in a completely different frame of mind,” says Ladin. The media attention created a new role for Ladin, who hadn’t viewed herself as a role model for Jewish transgender identity. By stepping into the public eye, Ladin learned what it was like to be seen as a woman, and in turn offered the Jewish community a real and identifiable person who represented Jewish and trans identities. And what about Renee Richards (transgender 1975)? Unlike Jenner, she had her change while still a world class athlete, leading to a fight over her eligibility to compete as a woman. Readers of this article will surely want to know about Joy Ladin’s 2011 memoir, THROUGH THE DOOR OF LIFE: A JEWISH JOURNEY BETWEEN GENDERS. It was a finalist for a National Jewish Book Award. Thank you for writing this sensitive and informative article. I agree with Joy Ladin. I posted a similar critique. I know several trans folk who fit under the Transgender umbrella. Trans men etc. Several are Jewish. I come from an Orthodox Jewish background but can’t go to my shul any more. 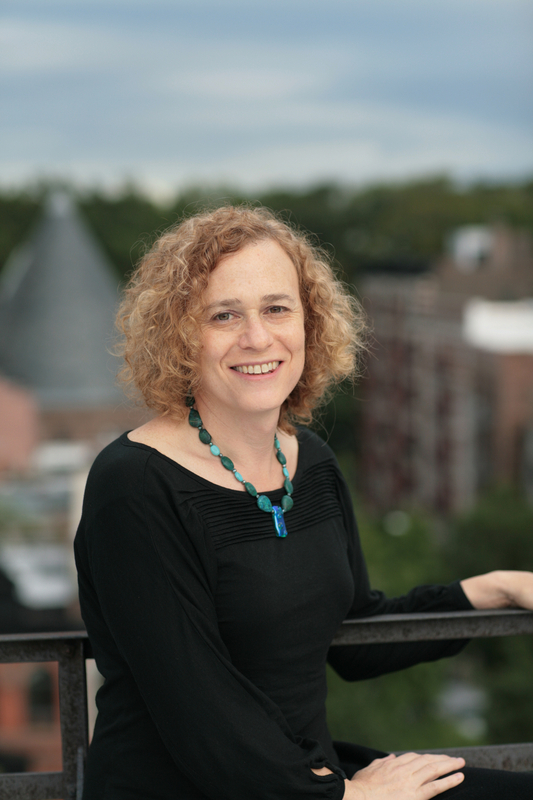 Joy Ladin is one of many Jewish trans folk who are changing attitudes.